You're my best friend. You're honest and trustworthy. A little arrogant and competitive--she shrugged-- but I guess I can live with that. Lord knows I'm not perfect. More importantly, I can tell you anything and know that though you might not always agree with me, you'll always love me and have my back. And--it doesn't hurt that you're hot! I believe we each have our own path to travel. Sometimes we make false starts and detours, but we have this internal compass that knows our true path. We just have to listen to it. He hesitated. If your internal compass keeps pointing at this baby, then you need to do it. But you're not supposed to be alone. Jenny had a tremendous capacity to love, and he wouldn't want to see this hampered by an obsession to hang onto him by fixating on having their baby. Besides, raising a child alone was difficult. His sister did it because she had to--Ralph left her. But to choose to do it alone to memorialize your dead husband wasn't a good enough reason to put either Jenny or a baby through those long years of additional stress. It might work out just fine, but he wouldn't choose it for her. However it wasn't his decision; it was Jenny's As much as it went against his every instinct, he had to respect her feelings. My ambitions are to be a NYT Best selling author whose books are enjoyed by millions of people worldwide. 2. What was the one thing that made you certain that you wanted to write books? Two things. How much fun I had writing my stories and secondly readers’ enjoyment of my books. I don’t write purely for myself, if I couldn't share my books with others and entertain them, it wouldn't be as much fun to write. 3. What actor/actress could you see playing the lead role in "Just Destiny"? 4. What is the hardest thing about writing and how do you overcome it? Hmm good question . . . It’s different for different people. Some people have a hard time not personalizing the rejections. Me? The rejections never really upset me too much. For me, it’s impatience. This industry just moves soooo slowly. How did I overcome it? Well, I self-published, but that brought with it different problems. Discover ability is the greatest challenge now. I love the standards, Harry Potter and Hunger Game series . . .and gosh . . . Harlan Coben has the most marvelously quirky characters . . .
7. What is your personal preference: E books or physical copy? Am I traveling? I prefer paperback unless I'm traveling, then the practical aspect of the e-reader can’t be beat. 8. If you could have written any book that is already published, which one would you choose and why? I should say Harry Potter ‘cause its so phenomenally successful, but I can’t even imagine having that much creativity so . . . You know, I don’t think I’d pick anybody. I’m very happy with putting my own books out there to entertain and touch people’s hearts. I’d just like to keep challenging myself and keep improving in my craft. 9. How did you come up with the plot for "Just Destiny"? My husband was on a business trip on my birthday, so my sister and brother-in-law took me out to dinner to celebrate and I’d cut out this article in the newspaper about a woman being sued by her deceased husband’s family to keep her from having his baby after he was dead. The idea of having your dead husband’s baby seemed bizarre, but still it struck me as a frivolous, ridiculous lawsuit. I figured it wasn't anybody’s business, after all once you get married, your body’s mine and mine’s yours, right? So we discussed some legal and moral implications of the situation and what had initially seemed so incredibly simple and private suddenly became complicated and intriguing, propelling me to do some research into the legalities and morality of the issue. I was so fascinated with the idea that I had to build a book around it. 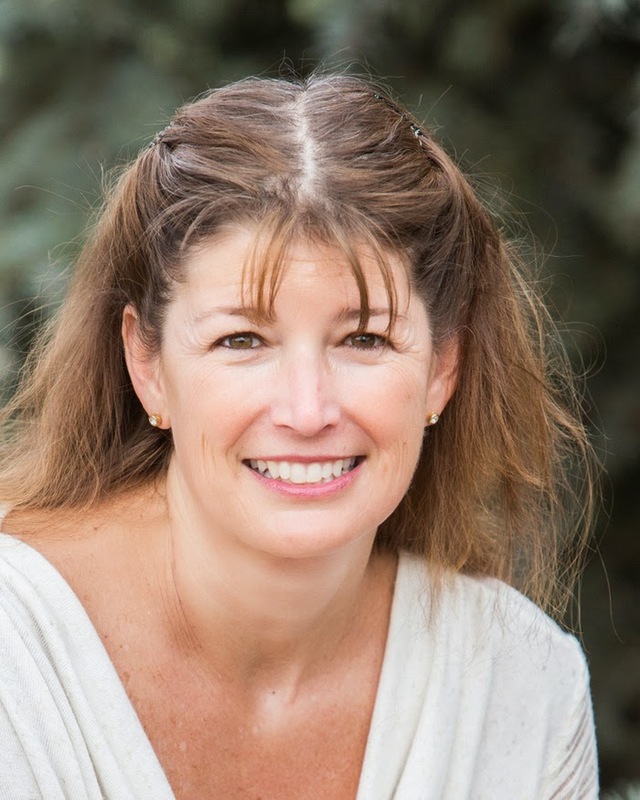 Thanks so much Theresa, I thoroughly enjoyed reading both your books and am excited to feature you on the blog today! A story about a 28 year old women names Jenny and her husband Gabe who is much older, had the perfect marriage. They loved each other so much that Jenny even accepted the fact that she wouldn't have children since Gabe already had two who were almost fully grown and didn't intend on having more. Then Jenny finds out she is pregnant and all bets are off for her. She decides to talk to Gabe on their mini vacation and get him to see how much this child would mean to her. All of the sudden, tragedy strikes this couple and Jenny's world is falling apart. Gabe is gone and Jenny must fight his over bearing uncle in order to be able to create a baby from Gabe's sperm. Although a bit unorthodox in nature, I just fell in love with Jenny and the struggles she faced all by herself. In walks her best friend and Gabe's too, conveniently her next door neighbor as well. Steve has always stood by Jenny and has kept her sane. Can he stick by her through this too? The friendship between Steve and Jenny has surpassed years. He was there for her in the early years of her and Gabe and he was the one she told a secret to, so big it could shatter many lives. Jenny trusts Steve with everything but can she trust him to understand why she needs to do this? This book wraps every plot point in to one. Suspense, romance, friendship, self-reflection, court room drama and so much more. This is the book that will make you stop and think, ask yourself the question: would you do this in Jenny's shoes? There are secrets to reveal. There's circumstances to come to terms with. There's heartbreak and uncertainty but the characters each play their parts so well. This book had so much amazing in it, it is difficult to write about without those same emotions coming out. As you can probably see from my review so far, this book was emotional, but well worth the read. The author's writing pulls you in and makes it hard for you to even take bathroom breaks as every chapter has a new twist. I felt this book hard to the point that I refused to put it down till I was finished. The writing by Theresa Rizzo was just so great. I have recently read her first book called "He Belongs To Me" which is another amazing book that doesn't disappoint. All I can say is Theresa knows how to write with emotion, suspense and depth that will leave the reader breathless in anticipation for more. "Just Destiny" is an emotional, roller coaster ride of a book that deserves to be on the top of everyone's "to be read pile". 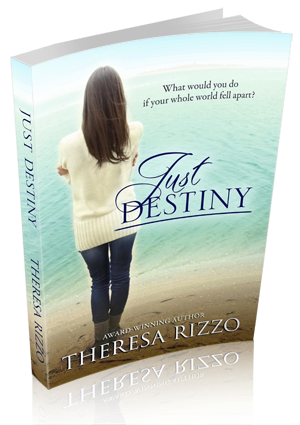 What you can win: One ecopy of "Just Destiny" Thanks Theresa!